It is often required to remove some parts of concrete structures for creating openings, inserting services, or other purposes. While earlier methods of removing or cutting concrete, used brute force through the use of chisels and hammers, or even jackhammers for a mechanical application that produced the same action, modern-day concrete cutting is done through a controlled process of sawing, drilling or core cutting. The machinery needs to be used by skilled operators, with saws that have diamond or other hard abrasive cutting edges. Earlier methods of concrete cutting led to jagged edges that often required refinishing, but the use of modern concrete cutting tools leaves smooth finishes that do not require any further work. Most of these tools use water or other suction devices to greatly reduce the dust or mess that concrete cutting can lead to. Concrete cutting can be flat slab sawing, wall sawing or the drilling of cores. Concrete cutting can also simplify the operations required to dismantle concrete structures, by creating fairly large individual portions of concrete that can be then lifted out by cranes or other devices, without the need for dismantling the concrete into very small pieces. Dry sawing, without the use of water, is used for large outdoor projects. 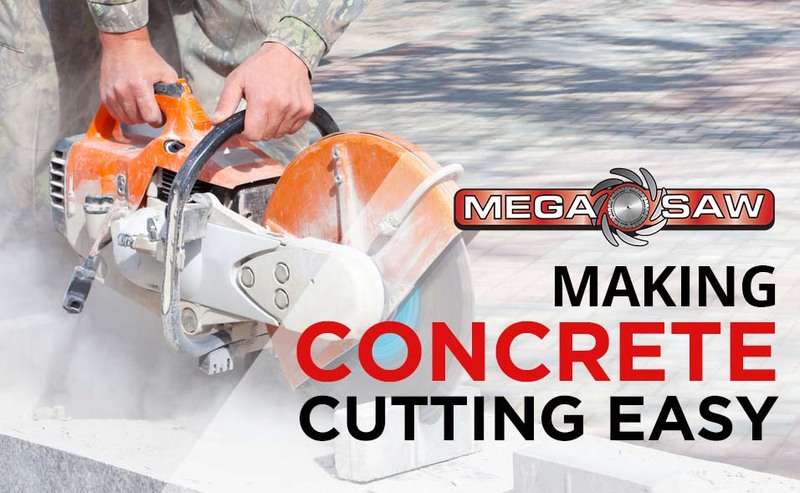 This process of concrete cutting uses large diamond blades that have their own properties that allow them to reduce any overheating caused by the abrasive cutting action. These machines can produce a lot of dust, but if they are outdoor they will not cause great inconvenience. Operators do need to wear respiratory gear and other protective devices that increase the safety of operations. These sort of tools are used for jobs that are prolonged in nature and where the concrete is very dense. 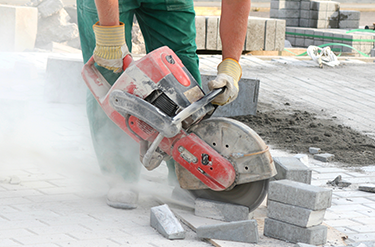 The sawing and drilling technique of cutting concrete that is more widely prevalent all over the world uses water to damp down the produced dust and can be of great help to operators and ensure their respiratory health. This use of water helps to prolong the life of the cutting saws or blades, by keeping them cool and also makes it easier to break through the concrete. Besides blades, some saws are in the form of wires that are embedded with diamonds. They offer a great degree of flexibility to the cutting operations and can greatly reduce wastage. Wire sawing also does not produce a lot of vibrations, as blades will do, and this reduces the chances of any cracks forming around the openings that are required to be created. Slab sawing for the cutting of concrete floors uses circular saws mounted on machines that can be walked behind so that they are properly guided to create any required cuts in concrete floors, foundations or other horizontal surfaces. Wall sawing will have similar machines mounted on tracks that are attached to the wall that needs to be cut and is useful for creating doors and windows in concrete walls. Ring or core sawing creates small circular holes in slabs and walls that allow for passage of utilities, to create increased ventilation, or sometimes used to extract cores from concrete to test its strength. ALSO READ: Concrete Sawing – Handheld Concrete Saw or Walk Behind? Concrete cutting equipment can be powered by electricity or by engines. Electrical equipment can be light, handheld and is easier to use, but engine driven saws are more useful for heavy duty work and can be used on outdoor projects where there is no provision of electricity. Blades used in concrete cutting can be made of an abrasive material on very hardened steel surfaces. Diamond blades are expensive and useful for large works. Diamond blades cut faster and their thinness helps to increase the speed of cutting, as lesser concrete then needs to be removed. Safety of operations and the need for skilled operators is very important in concrete cutting. Operators must be fully aware of the limitations of the machinery that is being used and must check the condition of the blades before they start the machines. They must ensure that there is adequate water supply, as well as proper drainage for the water so that the work areas are not flooded. This flooding can often lead to unsafe situations for machinery that works on electricity. They must also wear gloves, hard-toed boots, hard hats, eye protection goggles and other safety gear. Operators must ensure that they have a clear field of work and that the area of operations is barricaded and prevents the entry of unauthorised personnel. When you require concrete cutting at home, you can call in for the services of a specialized company that undertakes such work, and who will give you a quotation after inspecting the site and the work involved. It is also possible to hire such concrete cutting tools for self-use, but you need to be aware that they do require careful handling and adequate attention to the required degree of safety.